As a mom of four, I am terrible at keeping track of milestones and recording important moments. I am great at whipping out my phone to snap photos of key events... but if you ask me how old my youngest was when she started crawling or eating solid food, I have no idea. I have also forgotten countless silly or special moments simply because I haven't written them down. I could scroll back through all of my thousands of photos and find the date or try and jog my memory... but that could take hours and hours! 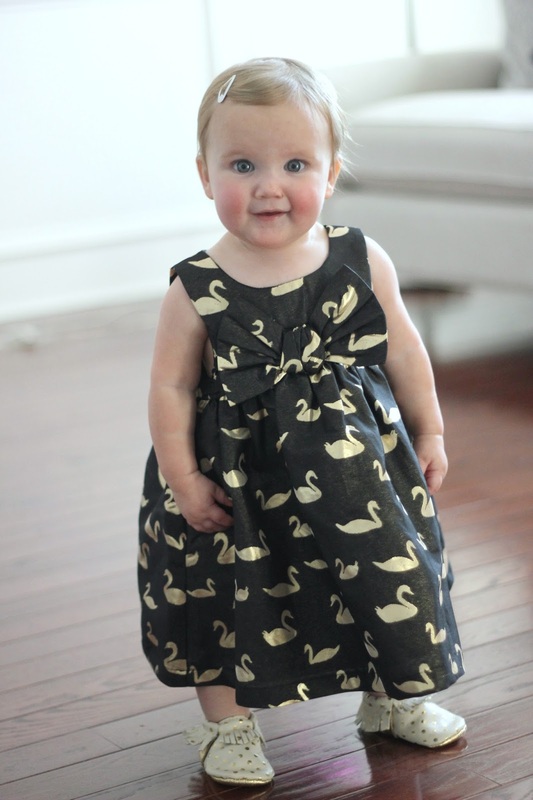 My youngest just turned ONE a few ago and we had so much fun celebrating her. It has been a crazy busy year and although I've had three other kids go through this stage, I don't remember much! I think I was too sleep-deprived! 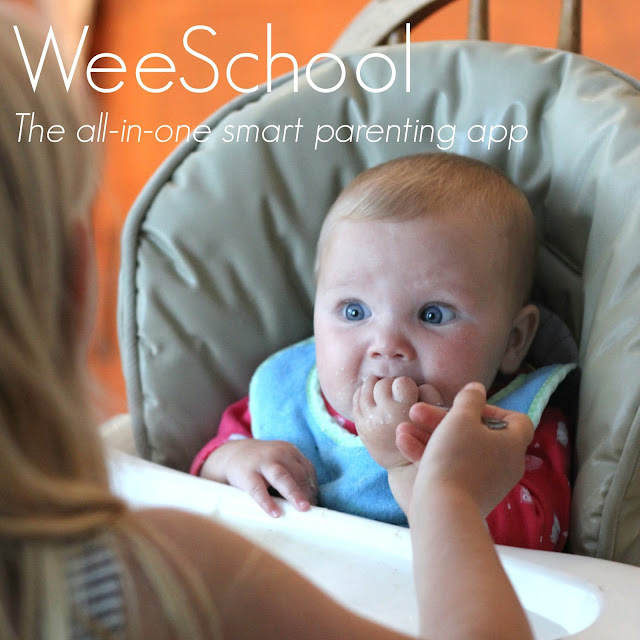 Today I am excited to share a little bit about what my one-year-old is up to right now and tell you about a helpful new parenting resource called WeeSchool that is making my life a bit easier. If you download the WeeSchool App by June 1st, you can register for free, lifetime access to all Premium WeeSchool content and features. This post is sponsored by WeeSchool. All opinions are my own. 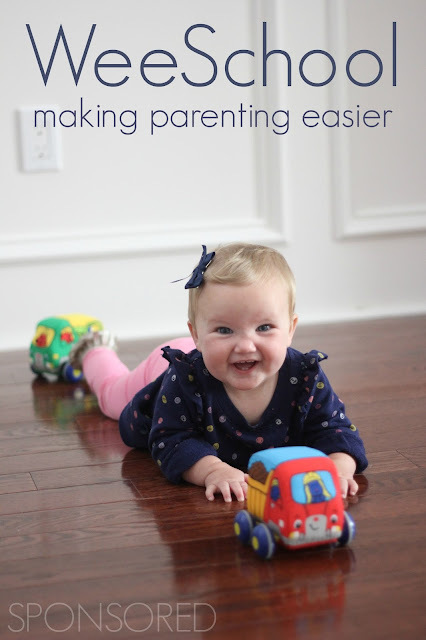 Each child is different, and unlike my other kids at this age (who were less mobile and curious), my baby LOVES to pull things out of cupboards and make big messes! Yesterday my oldest daughter decided to baby-proof the cupboards by taping all of the handles together so that the baby couldn't open anything! It was so funny (and smart)! I am not prepared for how quickly our youngest is moving through different stages and sometimes I am at a loss for how to support her curiosity. 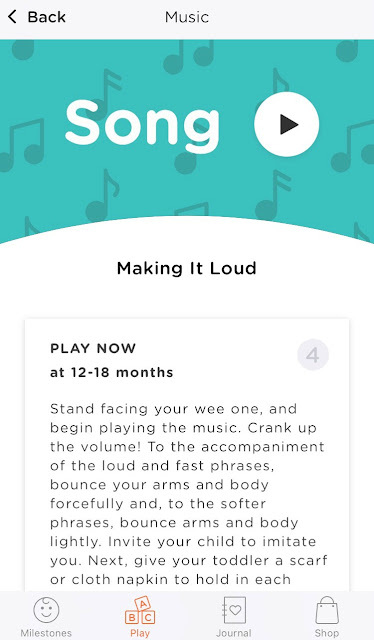 Recently I was introduced to WeeSchool, which has been helping make life a little bit easier by reminding me what to expect from her at different stages and giving me simple suggestions to help her be successful and have fun! 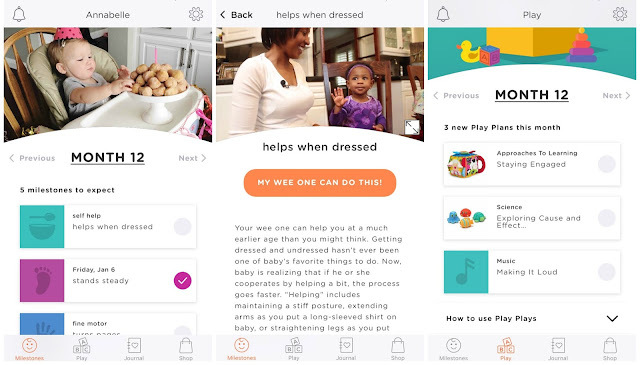 WeeSchool is an all-in-one smart parenting app, providing parents of kids ages 0-3 with everything they need to support their wee one’s preschool readiness, as well as making parenting easier, more effective—and more enjoyable. If you download the WeeSchool App by June 1st, you can register for free, lifetime access to all Premium WeeSchool content and features. Recently my littlest accomplished standing steadily, so I checked it off on our milestone chart (see above). 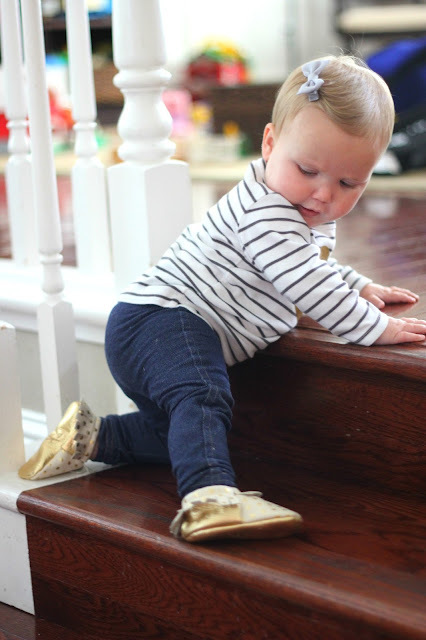 This week I also read a little bit about self-help skills and loved the tips and short video that showed me how I can let my little one work on dressing skills. The tips have actually made getting my one-year-old dressed much less frustrating because she is "helping" and I am doing a better job communicating with her as well. Day-to-day parenting can be awesome and exhausting at the same time. Having a few new tricks or ideas to add to my tool belt can really make a difference on busy chaotic days or boring slow ones. We spend a lot of time driving my older kids to activities and then waiting around in the car for them to finish. I love the WeeSchool videos, e-books, and classical tunes to enrich our afternoons while we are on the go or when we are hanging out at home while my older kids do homework. My daughter loves to stand on my lap in the front seat when we are parked waiting to pick up the big kids and rock out to music. The simple tips in our 12-month Play Plan this week made our dance time even more fun. Make your job easier this month and download the WeeSchool App. If you download it by June 1st, you can register for free, lifetime access to all Premium WeeSchool content and features. Want to see it in action? 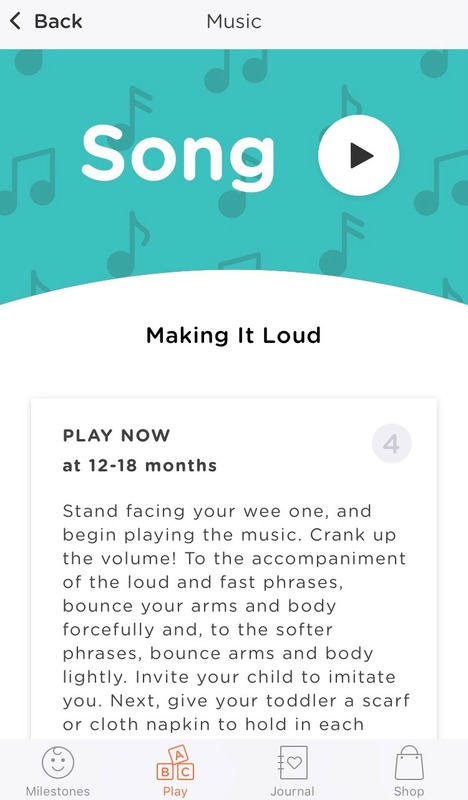 Check out the video below for more WeeSchool App details and see how this simple app can make your life easier as a parent and let you have more fun with your little one!